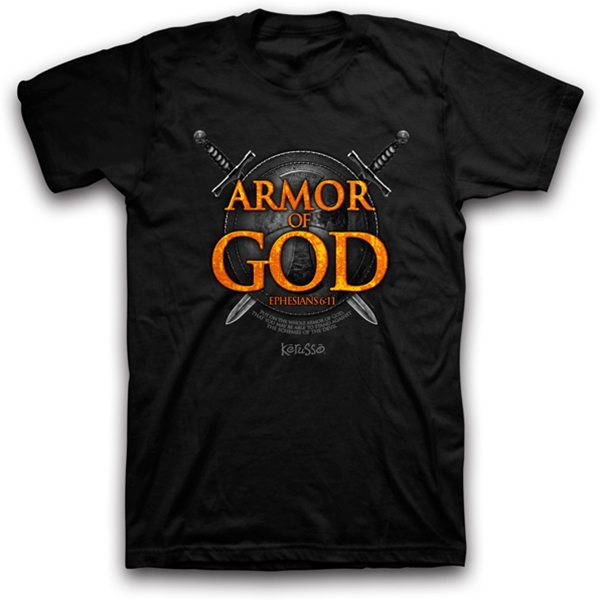 This t-shirt design consists of a shield with two swords and the phrase "Armor of God." Toward the bottom of the shield reads the verse Ephesians 6:11, "Put on the whole armor of god. That you may be able to stand against the schemes of the devil."